The newest member of the Nevada Dispensary Association’s board of trusted marijuana industry leaders, John A. Ritter is a well-known real estate industry businessman as well as a local philanthropist and community leader. With involvement in the real estate industry for more than 30 years, as Focus Property Group Chairman and CEO, Ritter made a national name for Focus Property Group by dominating the BLM land auction process established by the Southern Nevada Public Lands Management Act, winning four straight auctions of major land parcels from 2002 to 2005. 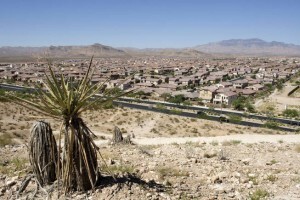 Those parcels became master planned communities in Southern Nevada, including Mountain’s Edge in the southwest part of the Las Vegas valley, Providence in the northwest and the Inspirada development in Henderson. Ritter has also served on a number of local planning boards, including the Southern Nevada Water Authority Integrated Water Planning Advisory Committee and Financial Subcommittee, Southern Nevada Water Authority’s Water Conservation Coalition, Northwest General Plan Update Steering Committee, Spring Valley Land Use Guide Focus Group, Enterprise Land Use Plan Advisory Group and the Beltway Taskforce. He lends his time to many community, political and philanthropic causes, issues and organizations. Ritter is currently vice chairman of the board for Council for a Better Nevada. He is also the co-founder of the Ritter Charitable Trust which supports many local charitable causes primary focused on issues affecting women and children in Southern Nevada. As the the newest member of the Nevada Dispensary Association board, Ritter brings his considerable experience with Nevada business, developing best practices and leading communities to the marijuana industry.